I did a lot of traveling around the country in 2002 on what I called an “early semi-retirement” before I decided to move to Chicago. Of all the places I’ve been in this great country (and a few others), Zion National Park in southwest Utah is, in my opinion, one of the most beautiful places on earth – and yet it is virtually unknown outside the state. Maybe it is dwarfed by the Grand Canyon right next door, or perhaps the Mormons just want to keep it to themselves. 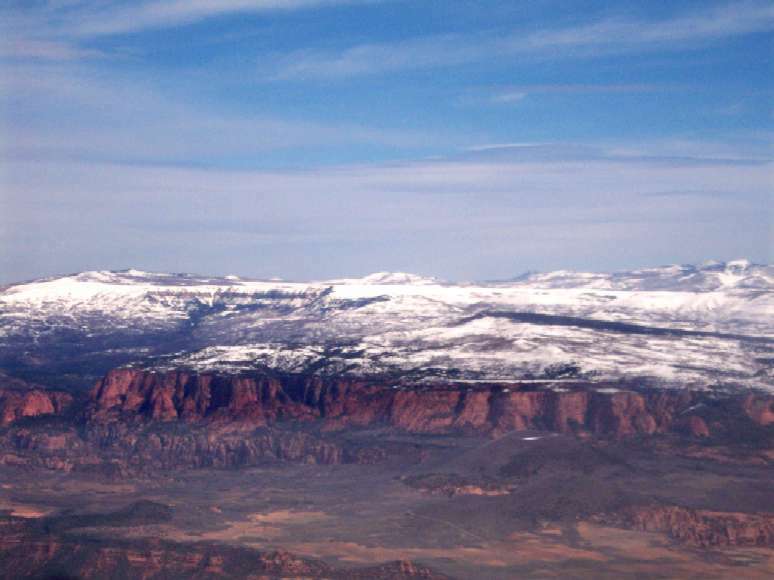 A year of my college education was in southern Utah, and many of my weekends were spent in Zion, hiking its trails and taking in its scenery – but in my youthful exuberance I never took any pictures of it. Although it is widely photographed, I decided late last year that it was time to go back, and put my pilot’s license to use to take some truly unique photographs of Zion – this time, from the sky. To do this, I drove north from Las Vegas to the city of St. George, Utah (elev. 2,941ft) and rented a Cessna 172R from one of the FBOs at the KSGU airport last Sunday. The 10,000 foot climbout seemed to take forever, and I arrived at cruise altitude just about the time I reached the park. I took them from between 12,000 and 13,000 feet above sea level, but I don’t think it was much more than 4 or 5,000 feet above the terrain. Even if you’ve seen photos of Zion before, I think you may get a new perspective on the park after seeing them, particularly at just how vast it really is.Â Click theÂ image below to go to the gallery.